In Atlanta, there is an organization called the Young Architects Forum and this year they decided to run a national competition during the annual Modern Atlanta event. The design competition was called 10UP and there were entries from all over the world with a jury made of very high profile architects & designers. After much deliberation, it was announced that the winner is our very own alum Wes McGee & his team: Matter Design! MA (Modern Atlanta) is an enterprise and a brand that believes that DESIGN is a five-letter word: HUMAN. We’ve even named our annual event “Design Is Human”, in part because MA’s mission is to promote design excellence that comes through the creation of sought-after services and desirable products that inspire and satisfy the needs of humanity, and in turn, encourage sustainable practices in lives, businesses, and the public. To advocate bold architecture and encourage artistic endeavors throughout Atlanta in the future, YAF and MA are proud to announce PERISCOPE as this year’s winning project in the first-ever 10UP National Challenge. PERISCOPE will heighten the purpose and exposure of bold architecture, in order to construct a more educated and encouraging public. 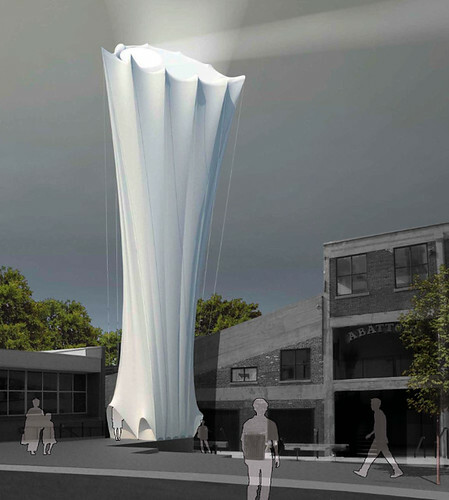 And through a rigorous selection process, each year 10UP will encourage the opportunity to challenge architecture and design and build a temporary outdoor installation to be selected by a distinguished jury of experts representing the world’s top international architects, designers, and creative minds. The founders and executive directors of MA (Modern Atlanta), MA10 DESIGN IS HUMAN and 2010 Modern Atlanta Home Tour, a recognized week-long activity celebrating contemporary design excellence from around the world, have asked us, YAF to create a temporary, built and inhabitable installation. 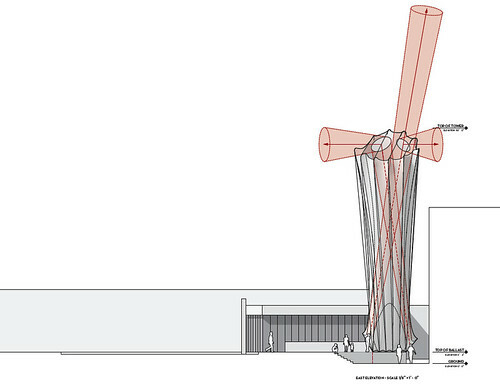 This structure is to be installed and operational during MA10 DESIGN IS HUMAN, coming June 1 – 6, 2010. Mat­ter is a design col­lab­o­ra­tive stu­dio founded by bran­don clif­ford and wes mcgee. 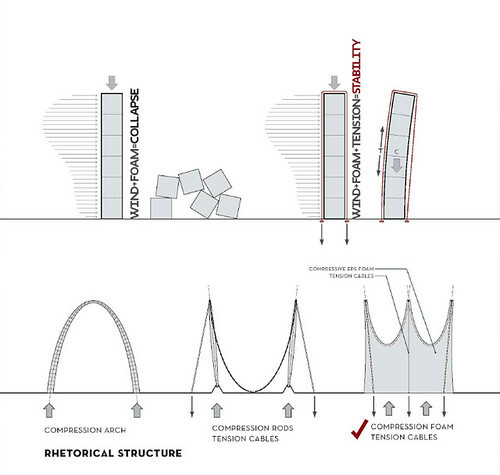 The firm has a num­ber of ongo­ing pre­oc­cu­pa­tions sur­round­ing design as it evolves through the dig­i­tal era. The Young Architects Forum is a public forum for the discourse of architecture and relevant topics for young professionals in architecture + design. We are Atlanta’s young architects.